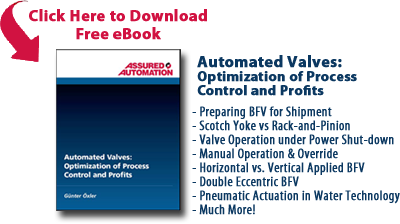 A major food and beverage manufacturing plant was seeking to improve the service life and sealing capabilities of the butterfly valves on their HVAC system. They were using a major manufacturer of resilient seat butterfly valves. These valves were modulating constantly throughout the day to maintain temperatures inside their complex. The constant wear at the 6 o’clock and 12 o’clock positions caused frequent failures of the resilient seated butterfly valves. Assured Automation met with the plant’s maintenance engineer and suggested replacing their resilient seated butterfly valves with high performance butterfly valves. The double offset shaft of the HP High Performance Butterfly Valve Series creates a pivot action which reduces seat wear and improves seat sealing. The engineer installed the HP Series valves and found they were ideal for his application and solved their leakage and life cycle issues. The valves have been in service for five years without any issues and provided significant cost savings. 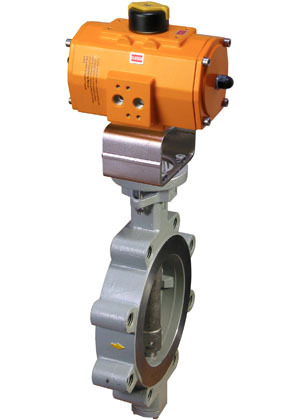 HP Series High Performance Butterfly Valves are available in 2” to 12” line sizes in carbon steel or stainless steel bodies with wafer or lugged flanged end connections. They are ideal for HVAC, power and chemical applications. The HP Series is part of our complete range of valves and flow meters, engineered and manufactured to strict quality, performance and dimensional standards. This entry was posted in Custom Projects, Food/Beverage, Latest News and tagged Actuated Butterfly Valves, Butterfly Valves, High Performance Butterfly Valves, HP Series. Bookmark the permalink.